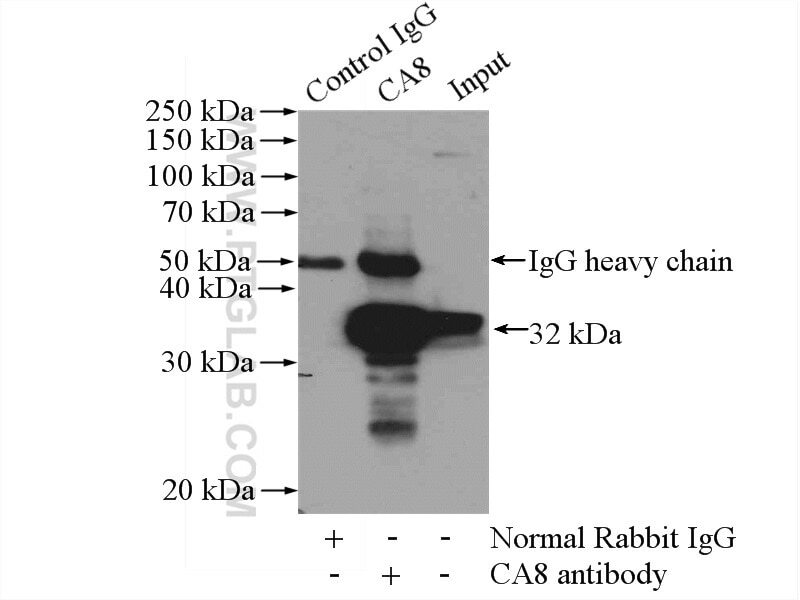 IP Result of anti-CA8 (IP:12391-1-AP, 4ug; Detection:12391-1-AP 1:1000) with mouse brain tissue lysate 4000ug. The CA8 (CARP) gene encodes carbonic anhydrase VIII, which is part of a family of zinc metalloenzyme. CA8 has a central carbonic anhydrase motif, but it lacks carbonic anhydrase activity due to absence of catalytic zinc coordinating residues(PMID:2121526). 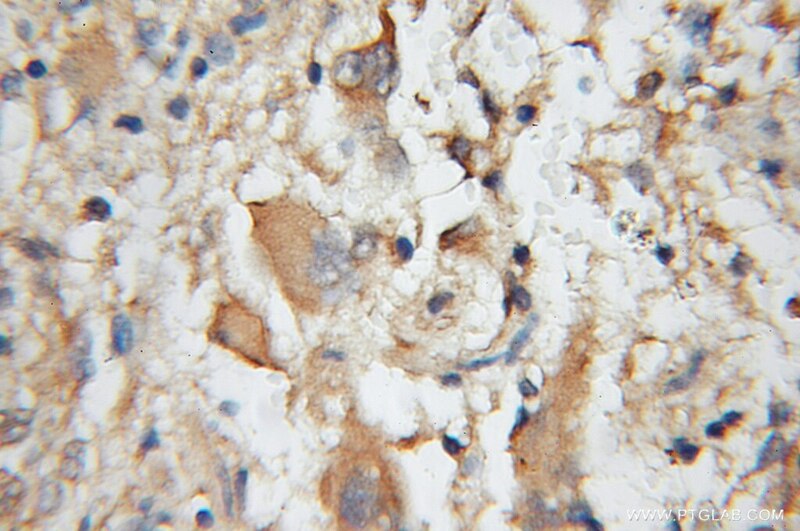 CARP is a novel IP3R1-binding protein, and is expressed in Purkinje cells abundantly. CA8 is co-localized with IP3R1 in Purkinje cells and it binds to IP3R1, reducing the affinity of the receptor for its ligand, IP3(PMID:12611586). Defects in CA8 are the cause of cerebellar ataxia mental retardation and dysequilibrium syndrome type 3 (CMARQ3)(PMID:19461874). Mechanisms that determine the internal environment of the developing brain: a transcriptomic, functional and ultrastructural approach.